So, how do we continue to grow as artists, specifically in the realm of calligraphy and hand lettering? I believe it is to become a student of others’ work, including computer fonts and other lettering styles, both historical and modern. 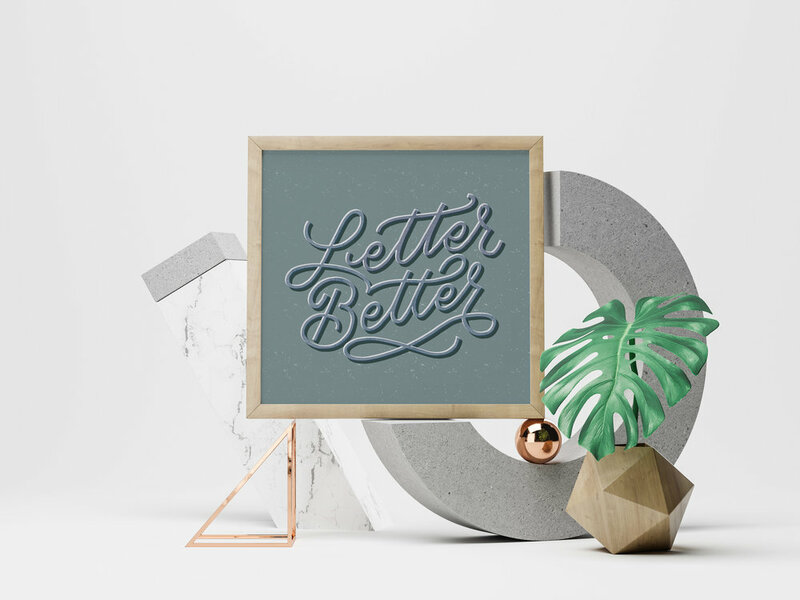 Modern lettering has indeed taken on a style of its own, and it stands on its own merits. However, I have found that what often sets artists apart is a more full-orbed picture of their art form—Like Dana Tanamachi, whose art, while being modern (what’s more modern than chalkboard art? ), comes with weight. It’s modern, yet classy. For Dana Tanamachi, the answer is undoubtedly yes. When I look at her work, the word “heritage” comes to mind. She often looks to old pieces of art or even architecture for inspiration! Even a cursory knowledge of art history is sorely lacking in the lettering community today. I’m not saying we should all be Dana Tanamachi. That wouldn’t be creative. But I am saying that we should try to emulate the way she has learned from a variety of artists from a variety of centuries—and to be intentional about learning. So, I’m here to share the five main ways I have grown as a lettering artist by learning from other artists past and present. They’re not magic, and they require some hard work, but they are tried-and-true strategies that I keep coming back to again and again. Start Keeping an Inspiration Journal: Start giving yourself an “action item” when you browse social media, to avoid comparison and discouragement. Tell yourself you’re going to learn something from this piece! Start creating a collection of inspiration from a variety of sources—not just social media, but old books, places you visit, signs you see, etc. Study & Critique Well: Figure out what the artist could have done better—not to be mean, but to learn! As usual, I’ll give you specific questions to answer, as well as a case study as an example. I’ve been working on this series for a long time, and I really hope it will be beneficial to you! Is there anything in particular you’re looking to get out of this series? Please tell me below!